By investing in our research and expertise you can help us to transform the UK’s response to domestic abuse. Two million people experience domestic abuse in the UK each year. Not one of them should have to wait until they're in crisis before we pay attention. We believe that domestic abuse can be stopped. Stopped before it starts. Stopped before it ruins lives. We know that children are still hugely hidden from support, and that growing up in households with an atmosphere of fear has a long-term impact on their futures. We also know that those who cause abuse, the perpetrators, are not being held to account or offered support to change their behaviour. Our research tells us that support needs to be more accessible for those with disabilities, those who are LGBT+, and those who need support with their mental health, the elderly or those from minority communities. These 'hidden' victims of domestic abuse are our neighbours, our colleagues, our friends. We need to listen to, and learn from, everyone. We need to see the whole picture. Your gift can help us to create real and lasting change. Please contact our Head of Fundraising, Frances Caluori (frances.caluori@safelives.org.uk or 020 7922 7900), to discuss making a larger donation. We are a leading UK domestic abuse charity. 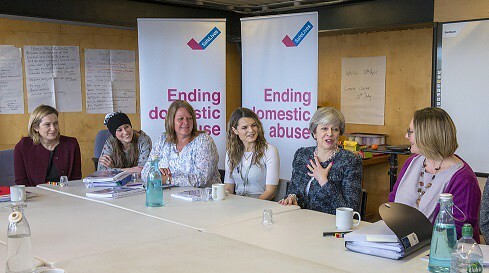 We are ambitious: we want to stop domestic abuse from happening in the first place. With your support, we know we can end domestic, for good. Our work is informed by evidence - we hold the largest dataset on domestic abuse in the UK and know what is really working to keep families safe. This data informs everything we do - from our conversations with policymakers to the content of our training. We work across the whole family: perpetrators who cause the abuse must be held accountable for their behaviour; we know all too often, children are in the home and are hidden victims of abuse. We work across the whole family to ensure victims, and their children, become safe and well. We work in partnership and with survivors: we work across organisational and sector boundaries. Our work is informed by the lived experience and insight of survivors and we strive to amplify their voices in all we do. Support from a dedicated member of staff - they will welcome you to our SafeLives family, provide you with key information and find out what works for you. Regular updates - we’ll keep in touch and let you know how your gift is ensuring nobody has to deal with domestic abuse alone. Visits - the opportunity to visit our programmes and hear from survivors and professionals you’ve helped. 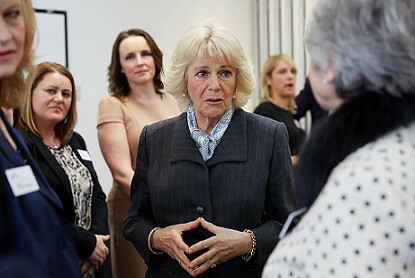 Invitations to exclusive events - in 2018 we hosted events with HRH Duchess of Cornwall and the Prime Minister, Theresa May. We strive for best practice in fundraising and are registered with the Fundraising Regulator, complying with its Fundraising Promise.